You have completed a will and perhaps a revocable living trust. Your durable power of attorney for healthcare and a living will are in place. All of your records are safely in place and carefully organized. 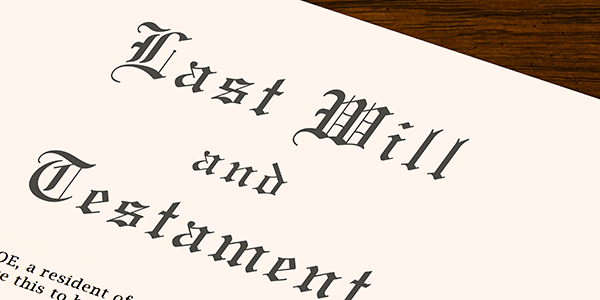 If you have a sizeable estate and there are large specific bequests, the arrival of a new heir is a good time to review your plan. One option is to transfer assets to the heirs "then living" when you pass away. If you are married and move to a different state, there may be a change in the laws that affect ownership. Some states are called "common law" property states and some are "community property." If you move from one state to another and change in either direction, it may be important to clarify the ownership of your property as separate property or joint property. Finally, many states have specific rules on durable powers of attorney for healthcare, living wills or advance directives. If you acquire permanent legal residence in the state, your doctors will expect that your medical planning documents reflect their state law. If you pass away before the entire plan is paid out to you during your retirement years, the balance is transferred to your designated beneficiary. Because retirement plans have grown substantially over the past decade, it's very important to review your beneficiary designations. Many individuals pass away and the plan value is transferred to beneficiaries who have been selected 10, 15, and even 25 years earlier. There could be many reasons why you would want to update that beneficiary designation, and age 70½ is a logical time to do so. Estate plans for single persons are quite different from those of married couples. A single person who transfers assets to a former spouse will not qualify for the unlimited marital deduction. While property settlements are typically handled during the dissolution of marriage proceedings, there are many cases where individuals forget to change beneficiary designations on retirement plans and insurance policies. If an individual later remarries and is survived by their new spouse, there is a high likelihood of litigation between the ex-spouse and the new spouse if the individual forgot to update his or her beneficiary designations. Therefore, this person's plan and beneficiary designations should always be reviewed in the event of a divorce or remarriage. If someone's estate increases or decreases significantly in value, there can be major impact on beneficiaries. For example, Mary has children Anne, Bob and Charlie. She leaves a home valued at $300,000 to Anne, a farm valued at $400,000 to Bob and the liquid assets to Charlie, who has the greatest financial need. While Mary is in a nursing home and no longer able to change the will, oil is discovered on the farm. When she passes away, Bob receives the farm, not worth $400,000 but $8 million. Estate plans are affected by changes in your asset value, by changes in your family, and potentially by changes in federal or state law. Therefore, it is useful every three to five years for you to sit down with your attorney and review your plan. Given all the potential areas that can change, it's quite likely that you may wish to modify some portion of the plan.